This STIHL KombiSystem shaft extension adds length to your HT pole pruner and HL hedge trimmer attachments. When tall branches and shrubs are out of reach of your HT and HL KombiSystem cutting attachments, slide in the HT/HL shaft extension. 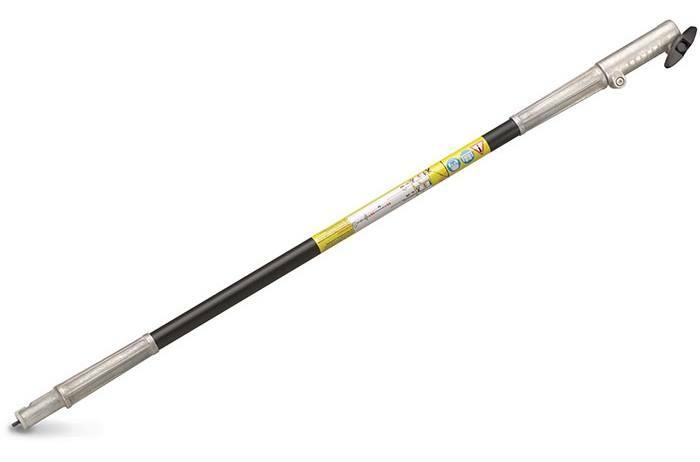 This extender lengthens the shaft by 37" and is extremely lightweight (less than 2 lbs.). Its carbon fiber construction is also durable, ensuring it will stand up to your daily cutting routine.